Home to historic sites like Walnut Canyon National Monument and Wupatki National Monument, Flagstaff, AZ, is a unique vacation destination in northern Arizona. Visit Sunset Crater Volcano National Monument where you can see a 900-year-old cinder cone, stop by the Lowell Observatory and do some stargazing, go hiking in Coconino National Forest, and ski at the Arizona Snowbowl in the winter. 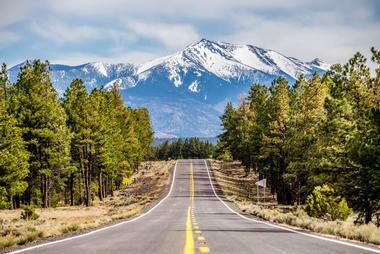 Here are the best things to do in Flagstaff, Arizona. Walnut Canyon National Monument is a U.S. National Monument listed on the U.S. National Register of Historic Places and one of the top Flagstaff attractions. The monument is located on Walnut Canyon Road southeast of downtown Flagstaff. 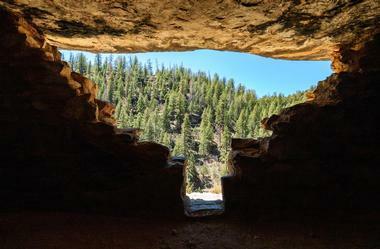 The trail that leads from the canyon’s edge to its floor passes by 25 Sinagua cliff dwelling rooms, and visitors are able to get close up views of the unique dwellings. The Sinagua, a pre-Columbian group that lived in the valley, were responsible for building Montezuma Castle and Tuzigoot. The park there has a Visitor Center and a museum. Located on US-89, Wupatki National Monument is a U.S. National Monument that contains many Native American ruins found on over 35,000 acres of desert land. Established in 1924 and added to the list of the U.S. National Register of Historic Places in 1966, the park features the ruins of ancient Native American pueblos such as Crack-in-Rock, Wukoki, and Wupatki. Wupatki means “tall house” and it is an awe-inspiring multi-story pueblo consisting of more than 100 rooms. The park boasts other features like an ancient community room as well as a ball court. Artifacts that have been found show that Wupatki engaged in trading. 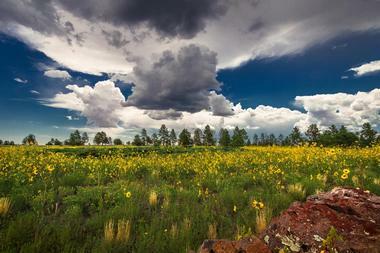 Wupatki National Monument is one of the best things to do in Flagstaff AZ. 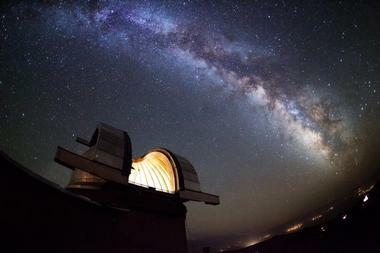 Built in 1894, the Lowell Observatory is one of the oldest observatories in the U.S. Located on West Mars Hill Road, the observatory was designated as a U.S. National Historic Landmark in 1965. It was in 1930 that Clyde Tombaugh discovered the dwarf planet Pluto using the Lowell Observatory telescope. Interestingly, the original telescope is used for public education. The Steele Visitors Center offers guided tours during the day, while at night, visitors can observe the night sky using the original telescope as well as several other telescopes. The observatory has several outreach programs such as camps for preschoolers, elementary summer camp, middle school camp, and several others. Hatch River Expeditions is a rafting company located on East Burris Lane northeast of downtown Flagstaff. 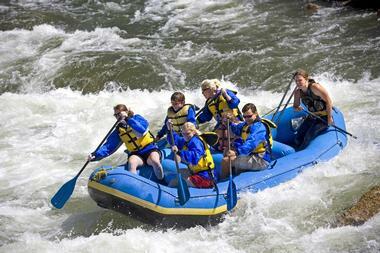 A family run company that began in 1929, it was the first rafting company in North America. Hatch River Expeditions specializes in personalized white water rafting trips down the Colorado River through the Grand Canyon. There are several kinds of tours that feature hiking, kayaking, or travelling by oar powered boats or motorized boats. The company helps guests with planning and food choices, and they offer advice on what to wear and what to bring. In addition to white water rafting, guests have opportunities to hike and to kayak. Located on South Mikes Pike Street, the Mother Road Brewing Company is well known for the Tap Room, a tasting room where visitors can enjoy some of the many brews like His Majesty’s Morning Porridge, Gold Road Kolsch Style Ale, Lemon Thyme Wheatblock, and more. Public tours of the brewery are offered on Saturday afternoon, and guests are given two kinds of beer as well as coasters and stickers. Private tours are also available by request. The company hosts many events such as live musical performances, beer trivia nights, Mountain Top Mashers Homebrew Club Meetings, and Growler Refill Days. Located on Sunset Crater Road, Sunset Crater Volcano National Monument is the home of a 900-year-old cinder cone. From the Visitor Center there are several trails and areas in the park that visitors can explore such as the Cinder Hills Overlook, which has stunning views, the one-mile Lava Flow Trail, the steep one-mile Lenox Crater Trail, and the .2-mile Aa Flow Trail. Visitors can also take a seven-mile hike to O’Leary Peak. In order to protect the fragile landscape, backcountry hiking is not permitted. There are several programs such as school field trips, a Junior Ranger Program, and the WebRangers available. Located in Fort Tuthill County Park, Flagstaff Extreme is an engaging adventure course. 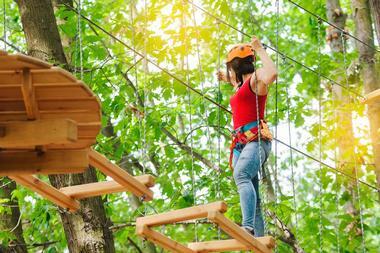 It offers several treetop courses where visitors move through obstacles suspended from the tall trees. The obstacles include bridges, hanging nets, rope swings, scrambling walls, and much more. The company offers several large obstacle courses at different skill levels; some are appropriate for adults and some for children. Guests are given training sessions that last about 30 minutes before starting with the easiest obstacle course in order to become familiar with the setting. Children are given a similar briefing, and they participate in a course designed exclusively for children. Flagstaff Extreme also hosts events like the Extreme Finisher Series. 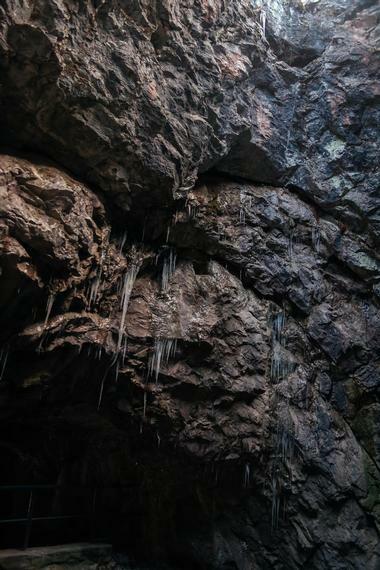 The Lava River Cave is a lava tube located on South Thompson Street within the Coconino National Forest. Discovered in 1915 by lumberman, it is the longest cave in Arizona with a length of 0.75 miles. It is sometimes called the Government Cave because of its proximity to Government Peak and Government Prairie. Visiting the cave is an educational experience that allows visitors to learn about biology, geology, history, and caves in general. There is no front door to the cave; visitors climb down through a hole in the ground and then the adventure begins. The floor is slippery in some places, and, because it can be quite cold inside, visitors need to wear warm clothes. You might see a few animals like bats and squirrels in the cave. Located on North Fort Valley Road, the Museum of Northern Arizona is a museum dedicated to preserving and exhibiting Native American artifacts as well as objects from the Colorado Plateau. Founded in 1928, the museum showcases collections dedicated to anthropology, art, biology, geology, and other fields. Some of the exhibits include Reconstructing the View: The Grand Canyon Photographs of Mark Klett & Byron Wolfe and Roundball Religion: Photographs by Joe Cornett. Tours are also available, and some examples include the Collections Tours and the Museum Highlights Tours. The museum also hosts special events like the Navajo Festival and Navajo Weaving. School workshops like Prehistoric Foods and Rock Art Workshop are just a couple of the museum’s many programs. 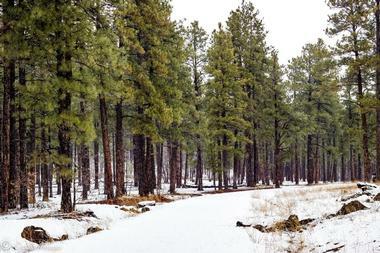 The Coconino National Forest is a nearly two million acre national forest located on North Fort Valley Road. Originally established in 1898 as the San Francisco Mountains National Forest Reserve, it became a U.S. National Forest in 1908. Because of its size, the forest consists of are many different kinds of landscapes such as alpine tundra, deserts, flatlands, mesas, and volcanic peaks. Within the forest, you can find Elden Pueblo, an ancient Sinagua village. Because of its easy access, archaeologists work with the public during excavations. 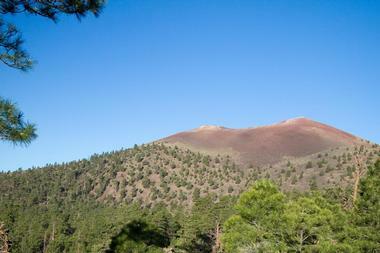 Another interesting feature of the forest is Red Mountain, a 1,000-foot volcanic cinder cone with an unusual “U” shape. 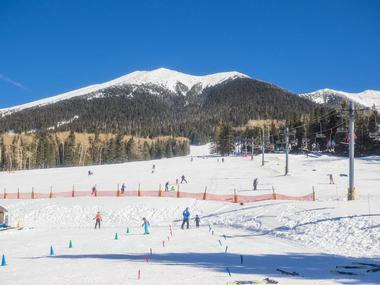 Located on North Snowbowl Road, the Arizona Snowbowl is a popular alpine ski resort on the San Francisco Peaks. 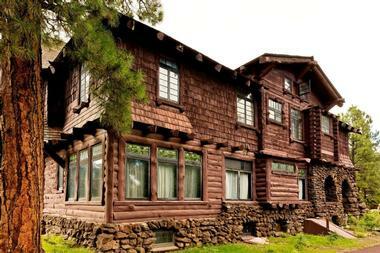 Opened in 1938, the 777-acre resort has two inviting lodges, the Agassiz Lodge and the Hart Prairie Lodge. There are five lifts, and the resort boasts a 2,300-foot drop, the largest in the state. In the summer, visitors can enjoy many activities such as riding on the Scenic Skyride chairlift, which affords a stunning view of the Grand Canyon some 70 miles away and hiking on trails such as the Humphreys Peak Trail, which leads to the highest peak in Arizona. The resort can be rented for corporate events as well as parties and weddings. 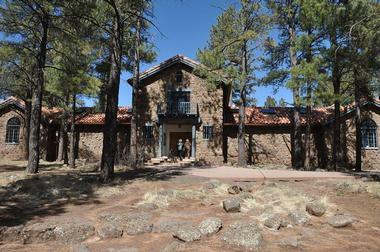 The Arboretum at Flagstaff is a 200-acre arboretum located on South Woody Mountain Road. It is home to 2,500 species of plants, most of which are native and drought-tolerant. The plants are representative of those typically found on the high-desert terrain of the Colorado Plateau where the Grand Canyon and Zion National Park are located. 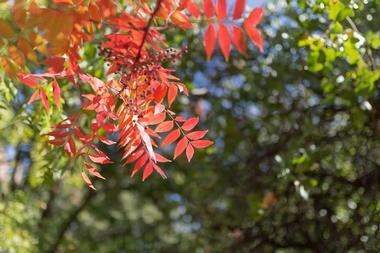 Sitting at 7,150 feet in elevation, the arboretum is one of the nation’s highest public gardens. Originally a forest and ranch, the land was donated by Frances McAllister in the late 1960s. The arboretum hosts special events like Ritmo Latino in Concert, Shakespeare under the Pines, and Wine in the Woods. More Arizona vacations and romantic Arizona. Coming to Oregano’s Pizza Bistro is like being invited to your Italian neighbors for lunch: boisterous, charming and smelling delicious. It is Italian to its core: red and white checkerboard tablecloths, Sinatra playing in the background and the smell of oregano, garlic and olive oil wafting from the kitchen. The Chicago-style pizzas are fabulous, and you can have them deep-dish or thin crust. There are over 40 ingredients to top the pizza up with, and they come stuffed too. Other menu items are delicious too, such as artichoke lasagna, lot of great pastas and salads. End it with a bit of heaven: giant hot chocolate chip cookie with ice cream oozing over it. Located about 15 miles from downtown Flagstaff in the San Francisco Peaks of the Coconino National Forest, the Flagstaff Nordic Center is a cross-country ski center with approximately 25 miles of trails. The 16-feet wide trails go through a variety of beautiful landscapes like aspen forests and Ponderosa pine stands. Some of the wildlife that sometimes frequents the trails includes coyotes, elk, and rabbits. One of the trails is called Bear Jaw/Peak-A-View, and it takes skiers up to 8,700 feet, the highest elevation on the trail system. From the top of this trail, skiers can see the Arizona Snowbowl and Humphrey’s Peak. Flagstaff Nordic Center also offers cabins and yurts for overnight stays. Best romantic things to do in Flagstaff, Arizona, include Walnut Canyon, the Museum of Northern Arizona and The Arboretum at Flagstaff. Located in a beautifully renovated historic Carriage House at the edge of Flagstaff’s downtown, Brix is small and cozy restaurant and wine bar with unexpectedly sophisticated food and wine list. It is American cuisine made contemporary by its farm-to-table philosophy and commitment to seasonal fresh produce supplied by local ranchers and farmers. Ask to be seated in the main dining room or on the patio which is adorable, warm and romantic, with herbs growing from the pots and candles burning on the tables. Food is absolutely delicious, imaginative, with whimsical pairing of ingredients. Discover just how fantastic everything is by ordering a few small dishes. Don’t miss Washington Oysters fried in cornmeal and served with candied bacon, collard greens, local okra, preserved lemon and spicy aioli. You might need help when choosing wine - there are about 150 bottles of mostly West Coast wines. The atmosphere at Criollo is warm and inviting, with old brick walls, wooden floors and original art everywhere. When it comes to drinks, there is something for everyone, from Argentinean great wines to local craft beers and some ancient tequilas. They call their menu “hand-crafted Latino-inspired local food.” Everything is made in-house with super fresh local and seasonal ingredients supplied by the ranchers and farmers whose names are proudly displayed for all to see. Much of it is organic and there are gluten-free and vegan options. The renowned chef David Smith has his own take on Latino favorites. His tacos are crowd’s favorites and there are several great filling options. Try the one filled with ground bison, avocado, pickled peppers, pico de gallo, jalapeño glaze and cotija. 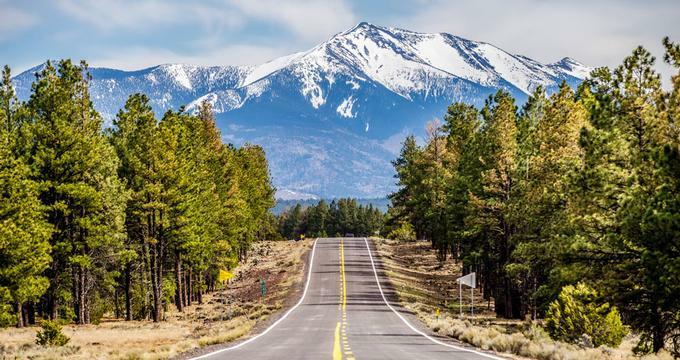 Best things to do in Flagstaff, Arizona, with kids include the Lowell Observatory, Sunset Crater Volcano National Monument and the Lava River Cave. Formerly a private wildlife park, Buffalo Park is a 215-acre city park located on North Gemini Road. What remains of the former wildlife park includes the entrance building, the buffalo statue located at the entrance, and a pond. Today, the area features a popular 2-mile loop trail called the Buffalo Park Loop, a trail that makes up part of Flagstaff’s urban trail system. It leads through a large open grassland area situated on top of an ancient lava flow called McMillan Mesa and then continues on through a wooded ravine. Visitors can get excellent views of the Dry Lake Hills and the San Francisco Peaks as well as wildlife like birds and mule deer. The park also has several picnic facilities. 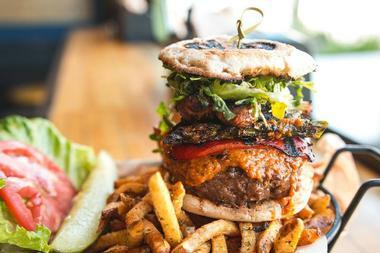 Burger experts have a term for what you get at Mama Burger: MOAB (mother of all burgers.) This cozy restaurant has a very simple recipe: give people great burgers, add some fries (regular or Cajun) and a milkshake, and they will come back. The result: people are waiting in lines out the door. 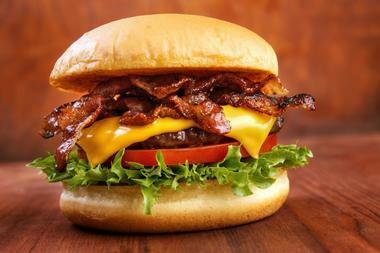 What you will find inside of the bun are two beef patties made of fresh ground chuck, grilled onions, green chiles, bacon, pickles and cheddar. You can get your fries on the side, or inside, called ‘Manimal.” Several times a week the restaurant is open until 3 am to feed the crowds coming out of bars. 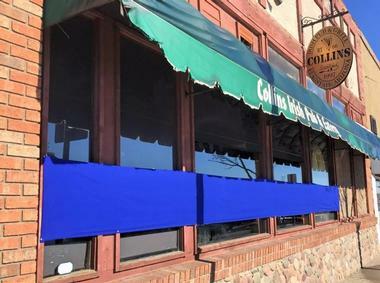 Located in a meticulously remodeled historic building in downtown Flagstaff, Collins Irish Pub & Grill is everything you would expect from a sport-oriented pub: great atmosphere, huge TVs all around and crowds of boisterous guests. Huge communal tables encourage conversation, especially during happy hour. Choose from a large number of beers on tap, Irish and American, and great comfort food from both sides of the ocean. If you are looking for romantic date night ideas in Flagstaff, this is a great place to try. Mac and cheese is one of the favorites, and you can have it even with lobster. Irish nachos are a must and you will get a small plate for free with two drinks. They are made with potatoes, they are Iris after all, and packed with green onions, cheddar, tomatoes, mozzarella and bacon. More places to visit: 17 Best Things to Do in Sedona, Arizona. Located on East Aspen Avenue, the Flagstaff Symphony Orchestra was established in 1950 when it played its first concert in the gymnasium of Northern Arizona University. Formerly known as the Northern Arizona Orchestra, today the Flagstaff Symphony Orchestra is made up of about 75 instrumentalists, some of whom are professional and some who are members of the community. Concerts take place in the Ardrey Memorial Auditorium at Northern Arizona University, as the orchestra and the university still maintain close ties. 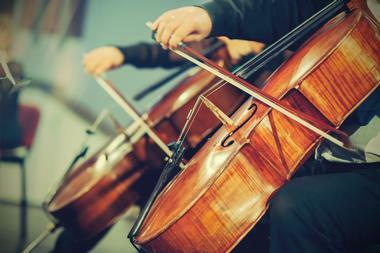 The orchestra is known for its outreach programs and community concerts that appeal to all ages. Link Up is a hands-on children’s program dedicated to helping children learn basic music concepts through listening, playing the recorder, and other musical activities. Weekend & day trip ideas: 25 Best Things to Do in Tucson. 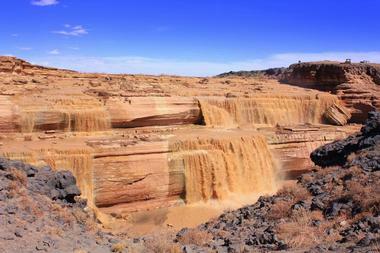 Grand Falls, whose nickname is the Chocolate Niagara because of the brown color of its water, is located in the Painted Desert on the Navajo Nation. The falls are actually higher than Niagara Falls, and they stand at 185 feet tall. During the dry season there is just a trickle of water that falls down the mudstone cliffs, but during the rainy season, Grand Falls is both an amazing sight and sound; you can hear the roar from half a mile away. The water comes down from the San Francisco Peaks and joins the Little Colorado River to create this natural wonder. There is a trail to the bottom of the falls where visitors can cool their feet in the pools.